Boating Safety Research Center - Official website of the U.S. Coast Guard Boating Safety Division. Chapman School of Seamanship- - Offers Professional Mariner Training, Recreational Power and Sail, USCG license, ASA Certifications. How to Sail: The Ultimate Guide - Increase your knowledge by reading up on sailing, which will further help to keep you safe while on your boat. SEA Semester - SEA Education Association (SEA) offers college students a study abroad that challenges them intellectually and physically by combining a sailing adventure of a lifetime with the study of the deep ocean. US Sailing: Safety at Sea - From the U.S. Sailing Association. Association for Rescue at Sea (AFRS) - Dedicated to the needs of rescue organizations around the world to raise funds, exchange information and provide co-operation. Australian Maritime Safety Authority (AMSA) - Self-funded government agency with the charter of enhancing efficiency in the delivery of safety and other services to the Australian maritime industry. Canadian Power and Sailing Squadron - A nationwide organization of boating enthusiasts. Their aim is to increase boating safety and enjoyment by providing instruction in all phases of seamanship and navigation, both power and sail. European Maritime Safety Agency - Provides technical and scientific advice to the European Commission in the field of maritime safety and prevention of pollution by ships in the continuous process of updating and developing new legislation, monitoring its implementation and evaluating the effectiveness of the measures in place. Maritime and Coastguard Agency (MCA) - Develops, promotes and enforces high standards of marine safety in the UK. The MCA is also committed to minimising the risk of pollution of the marine environment from ships and where pollution occurs, minimising the impact on UK interests. National Safe Boating Council (NSBC) - Membership of over 250 U.S. and Canadian organizations, all with an interest in boating safety and education. Personal Watercraft Industry Association (PWIA) - PWIA promotes the safe and responsible operation of personal watercraft - Jet Skis, Waverunners, Sea Doos, water scooters and waterbikes. PWIA works with federal, state and local agencies that have regulatory responsibilities for recreational boating, including personal watercraft. U.S. Coast Guard Auxiliary - Information provided on boating safety classes and courtesy boat examinations and boating safety. U.S. Coast Guard Boating Safety Resource Center - Boating and boater safety. U.S. Coast Guard Lifesaving and Fire Safety - Lifesaving and fire safety USCG standards for commercial ships and recreational boats. Western Boaters Safety Group (WBSG) - Promotes safe boating practices to over ten thousand members. American Boat and Yacht Council (ABYC) - ABYC develops the voluntary consensus safety standards for the design, construction, equipage, maintenance and repair of small craft. Often, ABYC is the only source of standards for many aspects of the marine industry. The development of uniform standards is the basis for industry-wide comparisons of products and performance. Boater Safety Tips for Boat Rentals - Helpful links to sites that provide information to keep your day on the water safe and enjoyable. Boating Safety - Boating safety information for the recreational boater. BoatSafe - Boating courses, boating tips, boating safety. 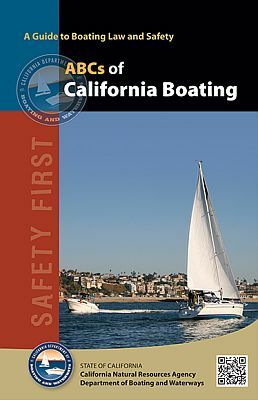 California Department of Boating and Waterways - Boating regulations, safety programs and education, and safety reports. Commander Bob's Boating Safety Notebook - Information on recreational boating safety, with tips, a checklist, quiz, mailbag, sources for courses, weather, knots, trivia, more. Global Maritime Distress & Safety System (GMDSS) - The GMDSS consists of several systems, some of which are new, but many of which have been in operation for many years. The system will be able to reliably perform the following functions: alerting (including position determination of the unit in distress), search and rescue coordination, locating (homing), maritime safety information broadcasts, general communications, and bridge-to-bridge communications. Specific radio carriage requirements depend upon the ship's area of operation, rather than its tonnage. The system also provides redundant means of distress alerting, and emergency sources of power. Lifeboat Services Around the World - Safety on the sea - information and links. Safe Boating - Boating courses and boating how to are provided in the form of home study boating books, manuals and interactive animated CD-ROM for sailing, sea doo and power boaters. U.S. Coast Guard Boating Safety - Find everything you need to know about boating safety with these tips from the U.S. Coast Guard and other boating experts. U.S. Coast Guard Boating Safety Circulars and Fact Sheets - A means to pass the word on various rules and regulations for recreational boats and other items of general boating interest. This webpage last updated on Thursday, July 27, 2017 5:14 PM.